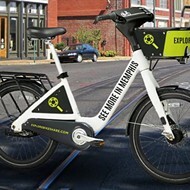 A bike-share system is coming to Memphis by spring 2018, as today non-profit Explore Bike Share, announced its partnership with the B-Cycle Dash System. Currently operating 1,250 bike share stations with over 10,000 bikes across close to 50 communities, the B-Cycle Dash System will bring 600 bikes, equipped with high-tech amenities, like GPS systems with route recommendations and turn-by-turn directions, to the city early next year. 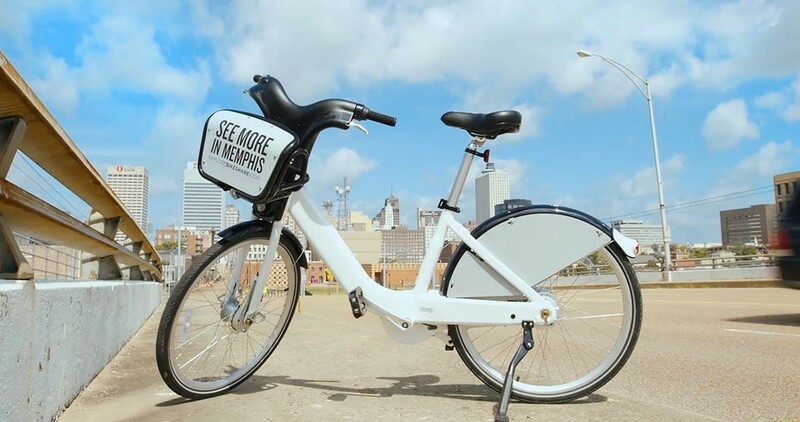 Explore Bike Share, whose mission is to provide an inclusive and accessible bike sharing system, is proposing that the 60 bike share stations coming to the city service high-demand areas like Midtown and Downtown, as well as Binghampton, Uptown, South Memphis, and Orange Mound. "From its inception, Explore Bike Share has vowed to prioritize neighborhood needs, utilizing the system to serve all of Memphis— not just where the city sees density on a map," Explore Bike Share board member Roshun Austin said. "We are proud to execute equity-oriented strategies such as bike safety education, ambassador programs, and workforce development partnerships." 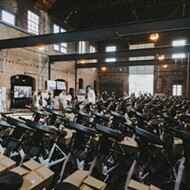 By 2019, Explore Bike Share plans to have even more shareable bikes, as Congestion Mitigation Air Quality awarded the group a $2.2 million expansion grant, which will allow for an added 300 bikes at 30 additional stations. 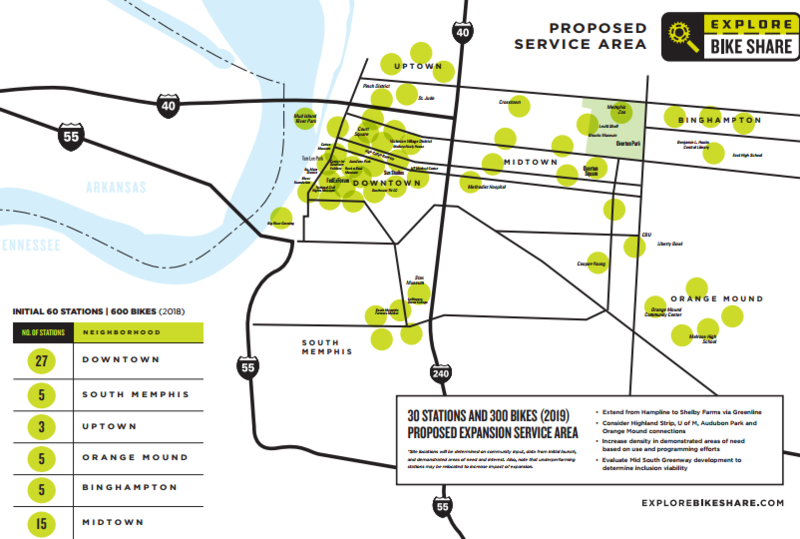 In the meantime, Explore Bike Share will revisit the community's suggested placement of bike stations near the South Memphis Farmer's Market, BRIDGES, and the National Civil Rights Museum at open meetings in the coming weeks.